The next OnePlus smartphone, which is expected to be unveiled before the end of the year, now has its specifications all but confirmed thanks to leaked benchmark test results. 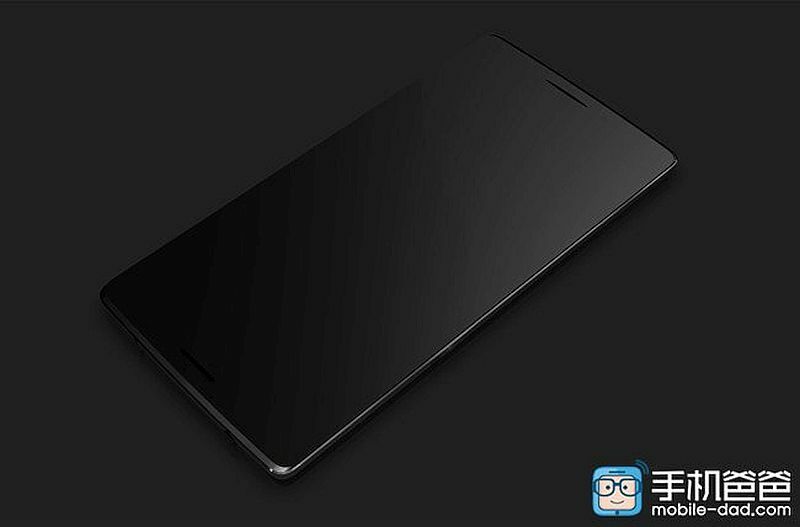 A handset with model number OnePlus A2301, thought to be the OnePlus Mini, has been spotted on AnTuTu benchmarks. 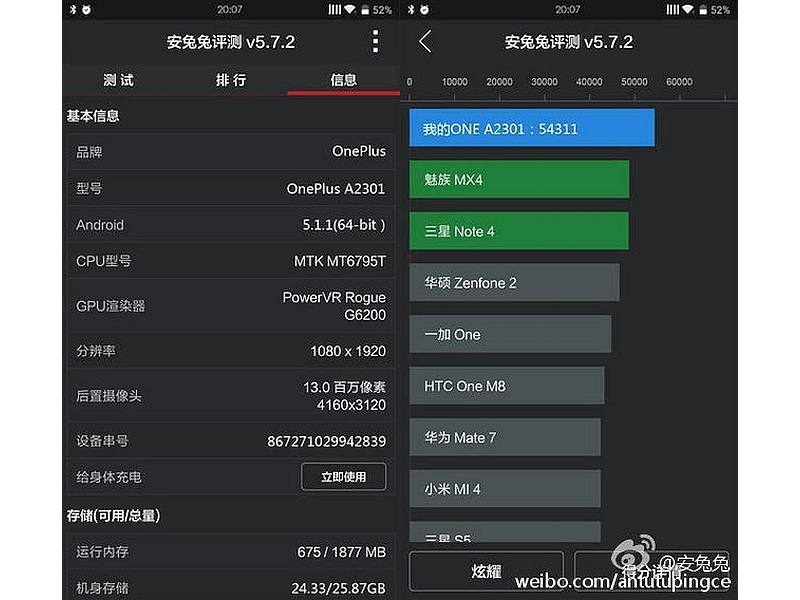 According to the leaked benchmark results posted by a Weibo user (first picked up by GforGames), the OnePlus Mini runs Android 5.1.1 Lollipop and is powered by a MediaTek MT6795T processor with PowerVR G6200 GPU and 2GB of RAM. There is no word on the display size though the full-HD (1080×1920 pixels) screen resolution can be seen in the leaked AnTuTu benchmark. There is 32GB inbuilt storage; but no word on expandable storage. Further, the benchmark test result shows a score of 54,311, which is higher than what the Samsung Galaxy Note 4 scored, giving you some idea about its relative performance. Earlier this week, the first leaked images of the alleged OnePlus Mini popped up on the Internet. The handset was seen featuring a different design than what’s seen on the OnePlus One or the recently unveiled OnePlus 2. In the leaked images, the front panel of the smartphone was seen alongside another image showing fingerprint scanner and a dual-camera setup at the back. The cameras were accompanied by a dual-LED flash module. The bottom panel is seen featuring a speaker grille alongside the charging slot. To recall, the OnePlus 2 houses the fingerprint scanner on the home button. OnePlus has in the past confirmed plans to launch more than one handset this year. OnePlus Co-Founder Carl Pei, back in August had suggested that a new OnePlus smartphone would be revealed before the end of the year – in time for Christmas.